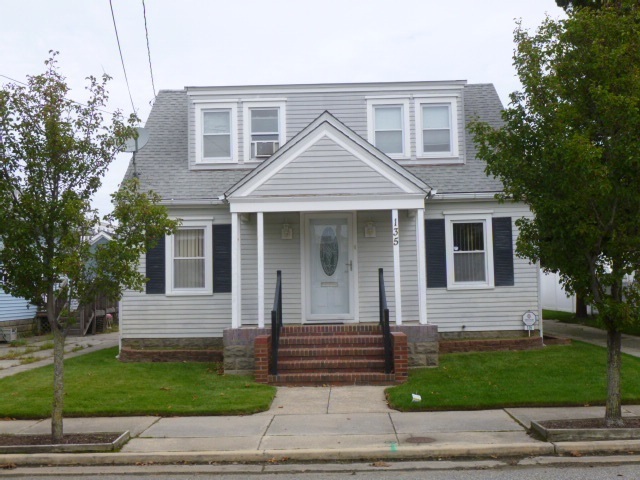 Vintage Cape home on 50&apos; X 100&apos; 1st floor Living room, Dining room, Eat-in Kitchen with skylight, two bedrooms and full bath, 2nd floor additional living room, bedroom and half bath with what use to be a kitchen area. Open wood deck, two electric meters, Detached one and a half car. For now Appointment please.